Basic chord structures are used in garage rock. This keeps it from being too complicated. Traditional electric guitars and other standard rock-oriented instruments are typically used. Some distortion may be included in garage rock but that is not required. The overall delivery of the music is rough and often raw. It emphasizes the aggressive nature of the sound and especially has a powerful style. Garage rock was especially popular in the 1960s as many musicians wanted to sound more like some of the British Invasion acts of the time. Throughout the 1970s, the punk movement started to take up sounds inspired by it. There was also a bit of a revival of garage rock in the 2000s. Of course, garage rock has never truly gone away in general. 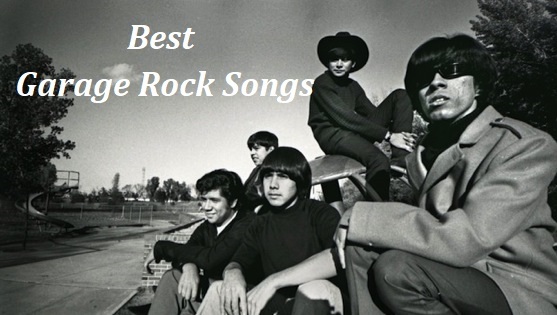 This is a look at ten of the best garage rock songs of all time. This is such an impressive genre of music that it might actually be a challenge to figure out what the best songs are for certain. The Kingsmen made their own version of Richard Berry’s 1950s doo-wop classic in 1963. The group made it as a raw-sounding tune that shows just how intense garage rock can be. Interestingly enough, there have been stories about how the lyrics might be obscene because of how tough they are to figure out even though they aren’t dirty in the least. The Electric Prunes were one of the top garage rock bands that inspired many similar artists in the mid-1960s. This song mixes garage and psychedelic influences together to reflect the hangover one has after a night with his woman. The song has especially become influential as it is the first track on the famous Nuggets music compilation, a record that inspired many garage rock artists over the years. The 13th Floor Elevators is one of the more interesting garage rock acts in history. Roky Erickson has been heralded as a visionary with a unique style for personal lyrics and experimental sounds with electronic instruments. This track was the best-charting song for the group although their parole for possession marijuana kept them from promoting their work. The toughest thing to do for this list was to figure out which Kinks song should be included. With all apologies to All Day and All of the Night, Waterloo Sunset, Sunday Afternoon, Lola and David Watts, this song is the best instance of how the Kinks inspired garage rockers. Ray Davies proved himself to be a true star in rock music with this rough and energetic song about falling in love. Van Halen’s cover of the song is one of their best but it’s tough to top the original. The Sonics were one of the first big rock stars from the Pacific Northwest. This song about enjoying a subtle drug is one of the most aggressive and intense garage rock songs ever and really show how it inspired punk rock. The mix of Gerry Roslie’s loud vocals and Rob Lind’s saxophone make this a standout. The Standells recorded this song that was written by producer Ed Cobb following his experience with a mugger in Boston. The sardonic lyrics about Boston and its polluted river make it one of the most ironic tell-offs in music history. What’s even more ironic is that this song has become an unofficial anthem for many sports teams in the Boston area. The Stooges were one of the top garage rock bands in the 1970s that were critical to inspiring many punk rock acts. Iggy Pop was inspired by stories on the Vietnam War to write this song about the aggressiveness of modern man. The song’s powerful riff is one of the most noteworthy sounds in all of garage rock history. The Isley Brothers wrote and performed Nobody But Me as a classic dance-inspired song. But a few years later, the Human Beinz recorded their own memorable garage rock version of the song. This song shows how soul and dance music inspired garage rockers over the years with a great dance melody. Many artists in the early 2000s helped to bring garage rock back into the forefront including the Strokes, the Brian Jonestown Massacre, the Kills, the Von Bondies, the Hives, Black Lips and the Mooney Suzuki to name a few. But the duo of Jack and Meg White were the ones that really led the charge. This song from the White Stripes highlights the intense and powerful sound of garage rock with fast lyrics about love. Of course, the White Stripes couldn’t have gotten all the love. The Von Bonides made this modern favorite with an equally powerful sound with the dual guitar attack of Jason Stollsteimer and Christy Hunt showing just how strong guitars can be in rock music. This song was especially famous for being the theme to the hit cable television show Rescue Me.